HELPING BUSINESSES HELP THEIR COMMUNITIES. We power local, community-based small businesses and organizations to help them promote healthy living. Our core program tenets include a multi-generational strategy and focus on leadership development. We're using education, opportunity and social support to change financial behavior and grow wealth. We leveraged the parent-student-teacher triad at our Boys' Latin High School Program site to create a cross-generational, family-focused model to meet the different learning needs of both students and parents. Our programs create new social networks to transfer knowledge, and help members stay connected while building accountability and support. We find school communities are ideal settings for family-focused initiatives. As such, a family-based learning program more effectively creates social support networks to promote positive behavioral change in financial habits. We generate learning synergies so family members develop better financial habits simultaneously and are more able to work toward common goals like paying for college tuition. Many studies indicate increased parental engagement will improve student performance and create high achieving schools. Unfortunately this engagement is sorely lacking in most urban high schools. One reason suggested for this finding is a lack of programs that parents find valuable enough to attend. Over 95% percent of Boys' Latin parents find value in our program and their consistent attendance reflects increased engagement with the school. For more info and to access the class calendar, check out their Facebook page. We worked with The Men of Mill Creek to create a free and accessible community computer lab. We know that simple technology can help reinforce and motivate positive behaviors. Together we have provided over 100 hours of free digital programming to adults and students since September 2015 . Adults learn basic computer skills, including internet and job search navigation. 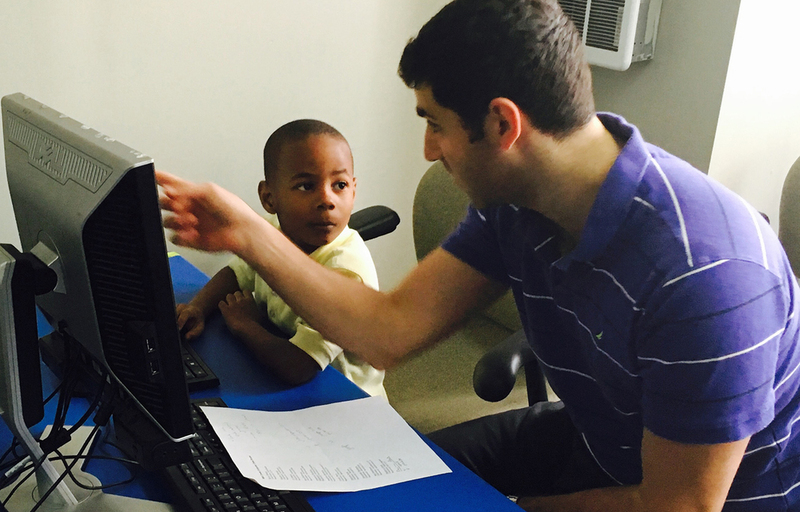 Our partnership with Mill Creek Playground after school and summer programs makes possible weekly computer tutorial sessions for underserved students of neighborhood schools. This summer we will introduce a digital mathematics program proven to raise proficiency rates. Nearly 95% of participants report increased comfort with computer use. Our West Philadelphia model demonstrates the role we play as a motor and connector in harnessing community strengths. The collaborative expertise of our small business investment includes financial literacy, entrepreneurship, investing, dance fitness, healthy cooking, and digital literacy. For more info and to access the class calendar, check out our partner Facebook pages. Mill Creek Farm is an educational urban farm just two blocks from Mill Creek Playground and Men of Mill Creek Computer Lab. We make possible weekly healthy cooking demonstrations for students and families by sponsoring Mill Creek Farm's expertise and produce. Our partnership brings the farm and its delicious local fruits and vegetables to the after school students, their parents and caretakers, as well as the many community members who participate in weekly line dancing and zumba classes. We are also working with Mill Creek Farm to develop community nutrition leaders. We provide education and training that builds community capacity. We focus initially on presentation and communication skills. Through our social enterprise collaboration with Bridges to Wealth we prepare participants to think critically as owners, developers and entrepreneurs and how to make long-term business decisions. The full curriculum includes developing business ideas, learning the competitive environment, sales and marketing, pricing strategies, operations and human resource management, cost analysis, budgeting and accounting, and presentation skills. Course participants graduate with a full business plan and pitch. We work with the community based business, In the Dance, to bring free dancing fitness classes to participants of all ages. In the Dance line dancing and zumba classes develop core strength and get community residents moving and connected. We have worked with our In the Dance partners for over 5 years to increase health outcomes in West Philadelphia. Over 98% of participants report increasing their rate of weekly exercise. We helped our partners Dave Earley and Selena Williams at In the Dance to develop their business plan and ensure viability. In the Dance now provides classes at recreation centers and businesses throughout the city. We act as an accelerator for community organizations and businesses. Through sponsoring, training, and supporting key community organizations like In the Dance, the Men of Mill Creek, Mill Creek Farm and the Mill Creek Playground, Investing in Ourselves builds intergenerational community expertise.